A month ago, Kumar Marewad was bitten by a stray dog on his way to work at a construction site. Although the wound was treated and vaccinated, the infection from the bite spread to his body until he slipped into a coma. When the family realized Kumar’s condition was critical and he wouldn’t survive without life support, they decided to discontinue the unaffordable treatment and take him home. At home, the family noted there was no movement or breathing and presumed he was dead. They made arrangements for his funeral. Two kilometers away from where his last rites were to be performed, Kumar opened his eyes and began thrashing around shocking his relatives. He was immediately rushed to the hospital. Kumar is right now at Suchirayu Hospital in the ICU. He is off the ventilator and improving with normal BP and saturation. He is being treated for meningoencephalitis, an infection caused due to a dog bite. Ningappa and Manjula, Kumar’s parents are daily wage laborers. 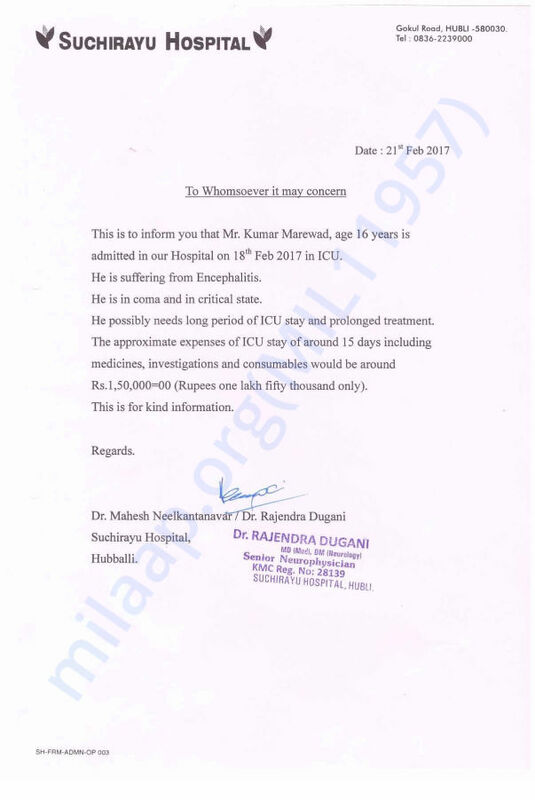 They are unable to bear his treatment expenses. Although the family is relieved that their son is alive, their anxiety has worsened by the piling hospital bills. 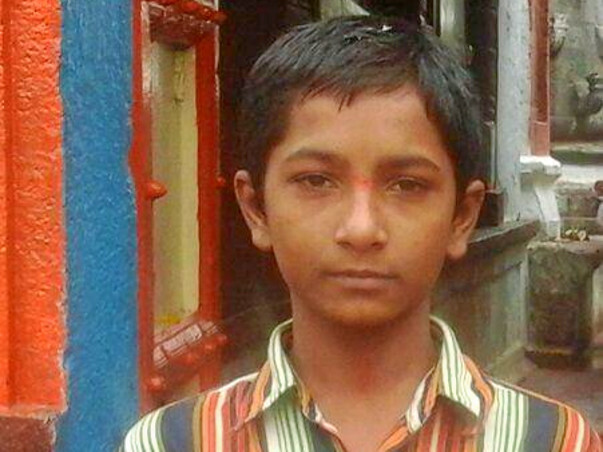 "Kumar stopped going to school after class IX to support us. He used to work as a construction laborer. His elder brother is physically challenged. We need support for his treatment,” they said to TOI. Your contribution will help this downtrodden family during their time of need. It will act as a second chance at life for this teenage boy. We have some unfortunate news to share. Sharanappa Naikar, Marewad's uncle informed us that Marewad passed away on Monday night (6th March). Kumar Marewad did not wake up from the coma. Doctors tried their best to save him, but the infection had spread to his brain. Funds raised have been transferred to the family to help settle the hospital bills. Our hearts go out to this brave teenager who endured so much pain and fought so hard for his life. Your timely support ensured that he received the best medical care possible. Kumar's family is most grateful for all the care and support that you have shown him. The past month was the most difficult one for the family. We hope they find strength in this time of grief. May Kumar's soul find peace.